OUR recent article about Control Risks Group (CRG) and Transparency International (TI) led to yet more research. We believe that the following information may be of interest because it shows a conflict of interest and direct overlap between the EPO and Transparency International, which last year was asked to investigate the scandalous EPO. Instead of joining the EPO she could do her job actually investigating the EPO, as Transparency International ought to have done. Transparency International was even asked to. It sounds like her career’s goals match what it takes to probe the EPO, not join the EPO as its official mouthpiece. Misleading the media and interfering with journalists’ job isn’t ethical at all. Our source continued with some juicy details: “In September 2013 she left TI to move to Siemens where she was the director of “collective action” in the Siemens legal and compliance department. Her move from TI to Siemens was reported on in “Transparency International Siemens Revolving Door Spins, Money Pipeline Flows”. After Siemens plead guilty in 2008 in one of the largest corporate bribery cases in history, Transparency International, the world’s largest anti-bribery organization, distanced itself from the company. Before the guilty plea, Siemens financially supported Transparency International chapters and had a close working relationship with the TI headquarters and its chapters. After the guilty plea, not. But time, apparently, heals all wounds. Now, six years after the Siemens guilty plea, the revolving door has begun to spin again, and the money has begun to flow again, between Siemens and Transparency International chapters. Siemens sees its renewed affiliation with Transparency International as a way to greenwash its tattered reputation. Transparency International sees Siemens as a piggy bank to replenish its diminished treasury, having lost millions after being cut off recently by state funding agencies. 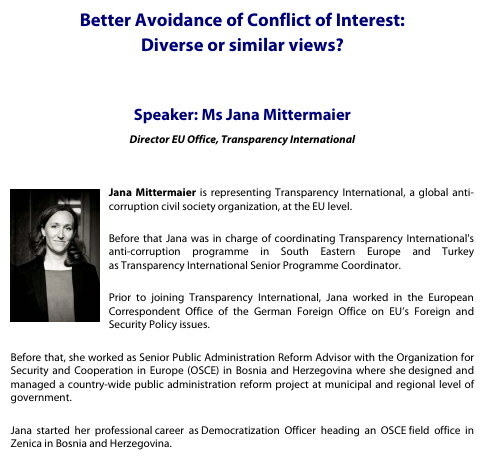 On the revolving door front, in September 2013, Jana Mittermaier, the head of TI’s Brussels office, left to join Siemens Integrity Initiative — which was established under a settlement with the World Bank in July 2009. Mittermaier is the director of “collective action” in the Siemens legal and compliance department. 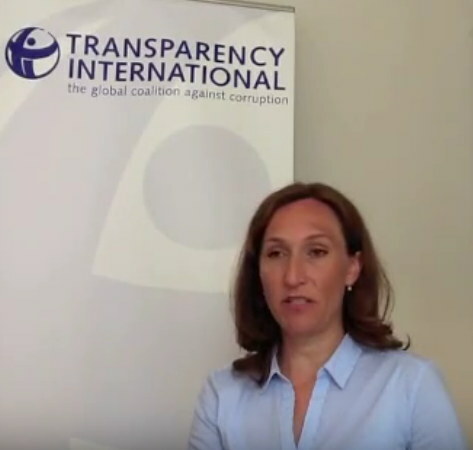 Transparency International Berlin and Siemens did not return calls seeking comment. She joined the EPO in 2015, only some time after the mysterious departure of Vincent Bénard, which was reported on by Techrights.